Books are packed 30 (or 40) units per master carton. Orders shall be in units of master cartons. Domestic shipping will be by UPS Ground (free) or Media Mail (free). International shipping will be by priority mail international, Express Mail® International or Global Express Guaranteed® at the buyer's discretion during checkout. The buyer is responsible for all duties and taxes. Terms: Orders must be paid in advance by check or bank transfer, or by using our PayPal button above. End Times Dawning has been released! This book is a practical explanation of the end times, with a timeline for key events such as the rapture and the second coming of Christ. 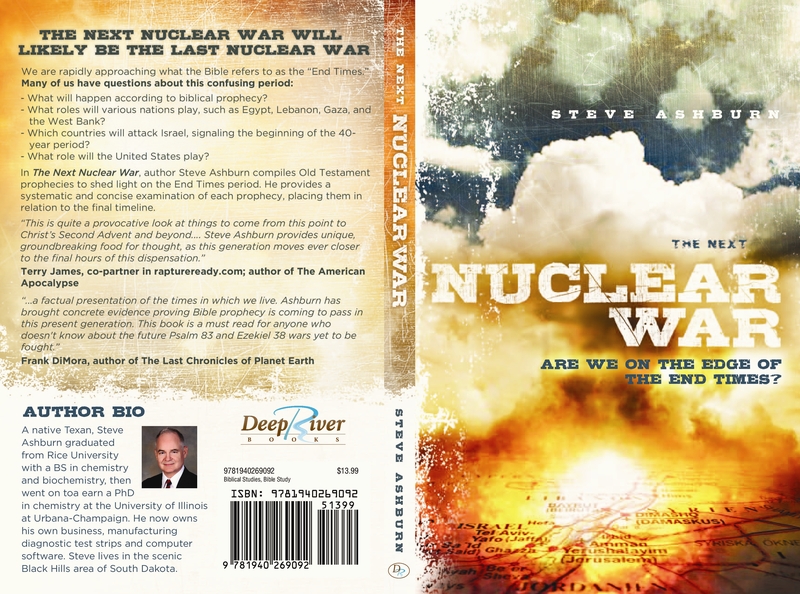 Steve Ashburn releases his book, The Next Nuclear War, a concise overview of Scripture relating to the end times.